Here at Rattan Direct, we can assure our customers that our products are of high quality and that they comply with UK certifications. We take great care across all stages of production, ensuring the result is one we are proud of. Our in-house designs are unique, making Rattan Direct furniture personal to us, and more importantly, to you. As direct importers, we are pleased to offer creative contemporary pieces at affordable prices. This confidence in our products means we can offer a 5-year structural warranty on the frames of all our indoor and outdoor furniture, covering both manufacturing or material defects. This is offered to the original purchaser only; guaranteeing a replacement, repair or refund following our terms. We’re proud of our furniture and the service we offer our customers, as well as covering the frame of all our furniture, we also provide a 5-year warranty on both our indoor cushion covers and cushion foams - we firmly believe you will not find better quality elsewhere for an affordable price. In addition to this Rattan Direct also offer a 2-year warranty against the fading, cracking and peeling of our outdoor synthetic weave. 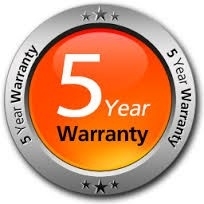 A 12-month warranty is also available on our outdoor cushions, furniture covers and all other accessories. Please note, outdoor cushions bought directly from Rattan Direct are advertised as shower proof; they are not intended to be stored outside. Rattan Direct hold the right to reject any claim resulting from weather damage. Our warranties are only valid for the UK mainland, from the date of purchase to the original purchaser only and may be subject to our terms. Our warranties do not cover the normal wear and tear of furniture or any damages that arise due to misuse, negligence or incorrect assembly. Unless otherwise stated at your point of order, Rattan Direct will not offer a warranty to a customer who reports damages as a result of our furniture being placed in a commercial environment, or from any damages caused from solvents as a result of cleaning the furniture. *Please note: The warranty is intended to cover the original purchaser only, valid from the day of purchase and is not transferable. A valid claim will be accepted if the customer produces their original invoice as proof of purchase. Products must reside in the Mainland UK.